Today’s topic is one that is important for all sorts of game design: difficulty. There’s lots of ways to make your game difficult, but unfortunately most of those ways are shortcuts that don’t lead to appealing gameplay. Lots of game developers will feel the need to make their game more difficult, so they add all sorts of “features” that only end up making the game more frustrating. “But the player is dying more often,” they say, “it’s a challenge.” Well, kind sir—is it really a challenge? Or is your gameplay just hard for no real reason? Today we’re going to look at the difference between challenge and frustration, and how to add to your game’s difficulty curve while avoiding making your players feel bad about it. People overlook the importance of a difficulty curve. Sure, most people understand the basic idea: the game starts easy, and it gets harder as it goes. Unfortunately, there’s more to the idea than that. It’s not just about how hard the game gets, but in which ways it becomes more challenging to the player. I could easily write an entire article about difficulty curves and training the player (and maybe I will! ), but for now, I want to cover some important ideas about how to establish a difficulty curve that makes sense for your game, and won’t annoy your players. I’ve seen a lot of games that start out smoothly and easily, but then you get past that “beginning”—and wham!, the game becomes incredibly difficult as soon as your turn that corner or enter a new area. What happened to the idea of curve? Keep it natural and gradual, and do so by putting the player in situations where his ability is tested. That’s the most important thing to keep in mind when trying to create a difficulty curve for your game: a game’s challenge lies in the way it tests the player’s skill at that game. Simply making enemies have tremendous amounts of HP usually isn’t the best way to do that. The player should feel like he is overcoming obstacles, that he is getting better at the game the further into it he goes. A good difficulty balance is one that tests the player’s ability, not his patience. As the game progresses, it’s easier to feel the need to artificially ramp up the difficulty, by doing things like giving enemies ridiculous amounts of HP, or giving them moves that kill player characters in a single hit. Sometimes these things make sense—but if you don’t have a reason for them other than to make things “hard”, then think about other ways to add to the challenge. Build on the gameplay that has come before, and throw new situations at the player. Give him a reason to use the skills that he has developed in new ways. There’s a reason that most players prefer RPGs that encourage strategy in battles over level grinding, and that reason is because they like a good challenge, not frustration. So what exactly is frustration? What causes it? What makes a player want to turn off the game and never play it again? Frustration occurs when the player feels as if his time has been wasted, and that the game is at fault. There are two important parts to that statement, so let’s break it down. The first part has to do with the value of a player’s time, which is an important concept to understand in modern gaming. Thirty years ago—or twenty—or hell, ten—players valued their time differently. Games back then were a lot harder (and a lot more frustrating) than they are today. This isn’t to say that players’ time was less valuable. Accessibility to videogames was different, and gamers didn’t have the luxury of thousands of games available to them at a moment’s notice. In today’s world, if someone doesn’t like your game—maybe because they feel that it’s not worth their time—they can just delete it and find another one within moments. Twenty years ago, if a game frustrated a player, they didn’t really have that option, so they kept pushing through until the game was beaten. Gaming culture has changed, and game design changes to accommodate the lifestyles of games. You can’t get away with wasting your player’s time. So what is a waste of the player’s time? Think about the times that you have gotten mad at a videogame. Maybe you died and were forced to replay a huge area—maybe you were forced to sit through that long cutscene again and again. Maybe you were just about to land the final blow on a boss that you’ve been fighting for an hour, and he hits you with a cheap shot, leaving you to do it all over again. 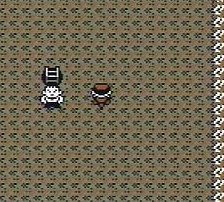 Or maybe you find yourself in a random battle every other goddamn step you take. The second part of my definition of frustration is key for a game designer to understand and constantly work into his gameplay. When something goes wrong, the player blames the game, not himself. Obviously, the biggest example of this is a glitch. If the player’s going along, having a good time, and gets stuck in a wall, he isn’t very happy, and he did nothing wrong. Those aren’t intentional, though. What about aspects of gameplay that leave the player howling at their monitor? Camera problems are a common cause of this in 3D games. It happens all the time—you miss a jump when the camera suddenly rotates, or a wall is blocking your view of your character, or enemies are attacking you and you don’t know where they are coming from. The player feels like he has no control, and the last thing you want your player to feel is that he isn’t in control. In RPGs, these kinds of problems are harder to pinpoint, but no less frustrating. Here’s an example that seems to come up a lot. Picture the classic block pushing puzzle, and the player somehow gets a block stuck in a corner. Uh-oh. He has no choice but to leave the room, reset the puzzle, and start all over again. “B-b-but the player shouldn’t have done that”, you say. 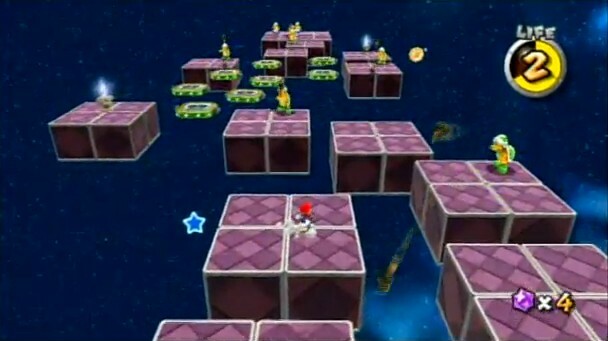 I counter with “he shouldn’t have been able to.” Design your maps in such a way where blocks can’t get stuck in corners, or (preferably) allow the player to pull them as well as push them. Avoid situations where your gameplay allows your player to get trapped. Here’s another example, going back to the idea of random encounters. Say that your player has fought his way through a tough dungeon, and his party are all sitting at a dangerously low HP. The end is in sight, so he goes for it. But nope! The screen flashes, and he’s in a battle. He tries his luck, chooses to flee, and fails. The monsters kill the player. These kinds of things can be avoided with some simple gameplay tweaks. For one, maybe monsters don’t attack on the same turn when a player tries to flee. Sure, it makes the game easier, but it prevents situations that cause frustration. Or maybe you could just drop random encounters altogether. Even without random encounters, your player can find himself blaming the game for out-of-nowhere deaths. When working with visible enemy encounters, think hard about where the enemies spawn and how they move. You want to allow the player to dodge them (most of the time), and you don’t want to clutter the screen to the point where he panics. Incorporate your encounters into your level design, rather than just plopping them here and there. Scour your gameplay for areas where the player dies and it isn’t his fault. Push yourself to find ways to give the player control of his fate. So we know what causes frustration. That makes for bad difficulty. What makes a game difficult in a good way? Challenge. Challenge is a test of the player’s skill. Any failure feels like the player’s own fault. I’ve talked about testing a player’s skill. That’s what a player wants as a game gets more difficult. They don’t want to grind their way through hours and hours of the same things. They want to be put into situations where they can use the skills that they have been developing, and often in new ways. Think about the mechanics of your RPG. RPGs are thinking games, for the most part. Encourage your player to think, to use strategy. To make the most out of the mechanics in front of him. Don’t throw everything that you have at the player from the beginning. As the game goes on, present the player with a new type of problem that can be solved with the same tools that he’s been using. In a battle, in a map puzzle, the idea is the same. And as the game continues to go on, mix the problems together, and introduce more. Sure, make the enemies harder, make the puzzles more complicated, but remember to challenge the player to think. An RPG doesn’t get more difficult when the enemies have higher HP. It might be harder, but the difficulty dwindles. If all the player has to do is grind and then he can just bash his way through the battles, then he’ll get bored quickly. Challenge the player’s mind. The second part of my definition is, again, about blame. When the player messes up, in a good challenge, he has nobody to blame but himself. The final level in Super Mario Galaxy 2 was hard, but rewarding—every time you died, you felt that you made a mistake and you learned something for your next try. Now, I’m not saying that the player should be getting mad at himself—that’s easily frustrating. But instead, every death should be a learning experience for the player. He should be able to pinpoint the mistakes he made so he can improve on the next time. If a player dies, it should give him the chance to change his approach to the challenge. Maybe he’s tackling a boss from the wrong angle, and his death teaches him to try another strategy. Deaths should lead to learning. That’s the important point: a good challenge can be overcome by the player’s ability to adapt to the situation. A good challenge encourages the player to do his best. A good challenge makes the player want to keep playing the game. And frustration just makes him want to give up.